Top Ten Tuesday is a weekly meme hosted by The Broke and the Bookish, featuring a top ten list every Tuesday (obviously) centered around a book-related topic. If you’ve got a blog and did a list for this week, link in the comments so we can chat! If you haven't, feel free to discuss anyways! 1. A Song of Ice and Fire: I think this series really changed both my reading and writing tastes. My writing veered off into a wildly speculative arena, while I started to looove reading epic fantasy. Or just fantasy. I also began to delve more into adult books. And ASOIAF has the most thrilling twists and exhilarating rides of, I daresay, everything I've ever read. 2. The Silmarillion: Unfortunately, The Hobbit and Lord of the Rings were out of the three-year range, but the Silmarillion is all levels of awesome. The prose just flows so powerfully, and I desperately want a Christopher Lee narration. I can't decide whether it's so awesome it needs a movie adaptation or it's too awesome for a Peter Jackson adaptation. 3. Nothing to Envy: North Korea has always intrigued me, and this book broke my heart. Honestly. I have on words for how much I admire the defectors as well as the survivors still in North Korea. 4. Gone Girl: I read this after aforementioned craving for adult books, and Gone Girl beautifully captured, the first time for me, a pair of unreliable narrators. Also, new craving for thrillers. 5. The Other Boleyn Girl: This one started my love for Tudor England, and I'm just flailing for more historical fiction, esp. involving women. 6. Julius Caesar: Not a book, but just, the fault, dear Brutus, is not in our stars. 7. The Alchemist: This just took my breath away, because it's set in the Sahara desert and there's so much fantasy and gypsies and argh. A little heavy on philosophy, but it's a beautiful allegory. 8. World War Z: I can't. I honestly can't. This one is too awesome. The sheer humanity and epic scale of this one is amazing and I would have loved a mockumentary adaptation. 9. 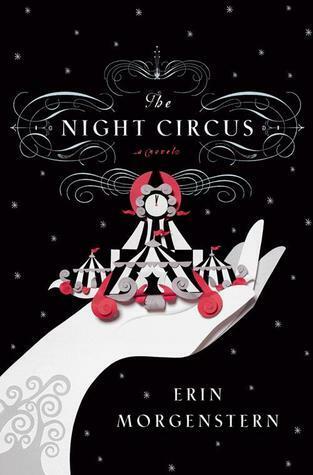 The Night Circus: Just argh magic and plots and more magic and beautiful prose. I honestly cannot handle this much awesomeness in my life. Were any of these also your favs? What are some favs that I have to read ASAP? And if you did a TTT, do leave a link so I can check out your list too! 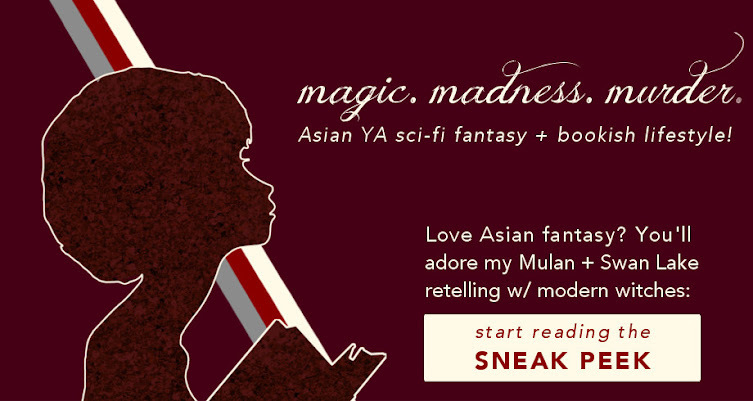 I share more of my favourite readerly takeout exclusively in my bimonthly newsletter! I adored the writing in The Night Circus, and I haven't read The Book Thief yet, but the movie was heartbreaking. I haven't read most of these books, but I have to try them sometime. I know right? The Night Circus is just so much beautiful prose, and The Book Thief. *cue weeping* You definitely should check out the others too! :) It was very interesting! I love The Hobbit and the LOTR trilogy, but I haven't read The Simarillion yet. I want to read it, though, as it tells the story of elves, and elves are epic. Besides, Tolkien's writing is too brilliant. The Book Thief is also an amazing book. Not only was the writing style itself gorgeous and unique, but the story itself was also beautiful. 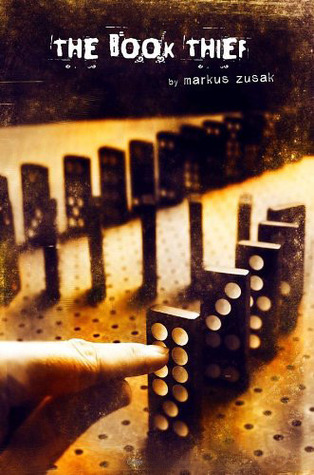 I really want to write like Markus Zusak. YES. It's epic. I was reading it back in January and literally would have given a limb for a Christopher Lee audiobook. It's just THAT GOOD. Plus, Galadriel. Much Galadriel awesomeness. I know! I'm going to check out I Am The Messenger sometime, also by him. And I really really loved the Death/colour idea. WHAT. NO. NOT A SINGLE ONE? *reads the rest of your comment* Oh, well, at least you've read one. You absolutely should read ASOIAF! Warning, though -- I remember you said you like simpler plots and ASOIAF is mind-boggling. Loads and loads of characters, but all very well developed! Oh, that's a shame. They're all amazing books. And I get you about the ever growing TBR XD Will check out your TTT! Yeah, I definitely have a weakness for beautiful prose. A lot of books on your list are amazing, too! World War Z and Night Circus are some of my favorites too but they they were both out of my 3 year time frame so I couldn't add them! Oh, that's a shame -- but there are SO MANY good books out there! I've been wanting to read both The Book Thief and The Silmarillion for ages, and I'm about a quarter of the way through A Game of Thrones. Recently, one of my favorite adult books has been Instructions For a Heatwave by Maggie O'Farrell--I liked it so much that I bought my own copy! Hmm, that sounds like a really compelling title! And best of luck with clearing those three out of your TBR -- these TTTs really make me realise how many books there are out there. I don't think I've read most of these either...well, I've read The Book Thief and The Silmarillion at least. (Disliked one, enjoyed the latter. *shrugs*) I really do want to read The Night Circus, though...it's on my list. My huge, huge list. Oh really, you didn't like The Book Thief? Hmm. Silmarillion was definitely great though, and if you liked Silmarillion, you'll probably love Night Circus' prose. YES. YOU MUST READ WORLD WAR Z. I was shell-shocked after reading it and had a horrendous book hangover. The Book Thief is one of the more popular ones I've spotted around this week's TTT. That seems to be a recurring theme in this TTT XD I loved The Other Boleyn Girl! Side characters in Tudor era are my fav. THE BOOK THIEF RUINED ME. And you should try! They're really good! Wow, it's interesting that you liked World War Z so much - I read it a few weeks ago and could barely get through it. Although there were some parts that were absolutely incredible and devastating and heartbreaking (which is why I got to the 75% mark before DNFing), the majority of it just seemed rather repetitive. But then, that's war, I suppose. If there's one thing I can say for WWZ, it was certainly accurate. Ohhhh you changed your theme. I can't decide if I like it. Is this a regular thing? I LOVED the book thief, it was soooo good. World War Z was a bit creepy for my tastes, but quite interesting. I actually had to read it for history, although it's not really historical. I think it's my school's way of making people read over break. The night circus sounds very good. I haven't read any of the others, although I think we own the Silmarrillon *consults bookshelf*. I find JRR tolkien a little too wordy, but I read the hobbit when I was 8, and LOTR over 1 1/2 years over 3 school breaks (it was on kindle, I don't use kindle during school. I can't anymore anyway since I sat on both our kindles- not at once- anyway. Great post, Alyssa! Oh yes, it's a regular thing! I blogged all about the theme change for the blogoversary here. Do let me know if you have any suggestions or if you dislike any of the elements! I used to find JRR Tolkien's style difficult to read as well, but I realised reading it out helped 100x. That's how I fell in love with all of his Legendarium. Sitting on a Kindle sounds like a blogging anecdote someday :D Thanks for reading! Hi,this is an interesting list.I see a lot of people like World War Z book but I saw the movie and it was so awful never really made me want to read the book.Though i love the Song of Ice and Fire series don't know when next book will come out.I read the prologue of The Book Thief it was so beautiful but didn't continue because I was reading e-book and I want to read it in book form.And Julius Ceaser is simply amazing!It's my favourite Shakespeare.You like Harry Potter or LOTR/Hobbit? NOOO. Do not judge the book by the movie! It's an adaptation in name only, and the book is way better. Yeah, pretty much the entire ASOIAF community is freaking out over that. I don't knowww. Don't ask me these questions. HP only didn't make the list because of the time period. There is a World War Z book? I've seen the movie by the same name, but never knew there was a book. Julius Caesar is an awesome play, and so quotable. And oh, The Night Circus. As a long time lover of NaNoWriMo, I've been dying to read this book. One day I'm actually going to get round to it. There is a book, and the book is MUCH better. It's very different and way more original. And yes, JC is very quotable. Not so much as Hamlet, though. Hope you enjoy reading Night Circus! Oh my gosh yessssss I love your new look! And I totally approve of The Book Thief being up there! IT IS THE BEST BOOK EVARRRRR. Thank you!!!! I'm getting that reaction from a lot of Aussies. You guys have great country spirit (is that a thing? )!